I have an old 1Password app on my iPhone. I don't have a secret key. I'm assuming it is a stand alone. I have a new phone and want to add it to my new iPhone but can't figure out how to get it to move over. I also have a second account that I need to delete because it requires a monthly charge and I want to use the old account. Can you please send me step by step instructions? What additional info do you need? I has been backed up on iCloud but I have no idea how to make the transfer. Also need to download it to my MacBook. I purchased the pro features. Referrer: forum-search:iPhone app. need step by step to transfer to new phone. But to get started on getting you from point A to point B... could you please let me know which of these you have on your iOS device? Same problem with me. I bought a license for my Mac and one for iOS. Now I want to freshly setup my new iPad Pro. But when I download 1PW from the AppStore-Cloud it wants me to sign in or I have to sign for a membership. But all I want is to use my old version. Who can help? P.s. : I want a clean, fresh new setup, not the backup via iTunes with all the garbage I don’t need anymore. @AOlbertz: Where do you have your 1Password data currently? To be clear, if the app you were using was something other than D, you can't use it on recent iOS releases. But I'll be happy to help you migrate your data to the new version, if possible. @brenty : Thanks. My data is on my MacBook Pro and I use wifi-sync. My Version ist D ... and as old and new iPad both use the same iOs, I'm pretty shure, it's not a version problem. 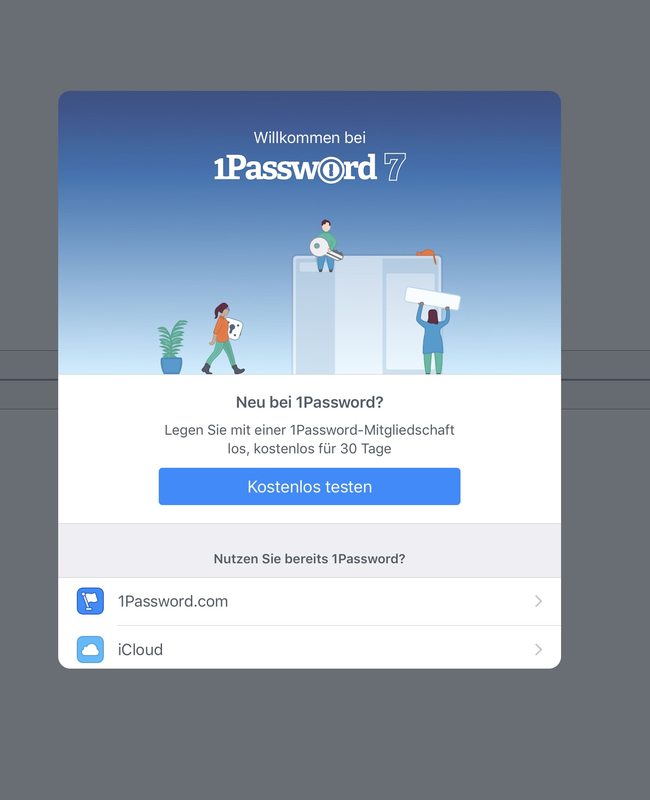 Under "1Password bewerten" it says version 7.2.5 ... Does that help you? @AOlbertz: Thanks for letting me know. Unless your Mac has an outdated version, you should be able to easily sync the data to your iPhone. Have you tried setting it up to sync? @brenty I don't get that far! Right after starting the app it wants me to sign in, but I don't know what for. @AOlbertz: You'll only get a "sign in" screen for a 1Password.com membership if you've selected that option. It sounds like you don't have a membership subscription, and will have to use a different option to sync your local vault between devices. @brenty I guess syncing will not be the problem, worked fine untill yesterday. ... where/what shall I click ? Scroll down and select the WLAN Server option if that is how you'd like to sync. @Ben OMG, is it reale so simple? I didn‘t have the idea to scroll down. The problem sits once again in front of the screen. I didn‘t have the idea to scroll down. For whatever reason it has become trendy to not display scroll bars until one tries to scroll. I suppose this gives a cleaner look, but it can create confusion about whether scrolling is possible / necessary or not. Right, wrong, or indifferent, that is the way macOS and iOS have gone. Hmm. Do you see an option to create a new vault on the welcome screen (below the WLAN option)? If so please try selecting that, and then once you've established a new vault (use the same Master Password) please try setting up sync with the WLAN server. Even us geeks are using it. @Ben Yeah man! Thanks a lot. After creating a new vault the sync was done within seconds. Perfect. 1.) I prefer to pay for something and own it. I don‘t like constant fees. Yeah man! Thanks a lot. After creating a new vault the sync was done within seconds. Perfect. I'm glad to hear that worked. To be fair, you don't "own" 1Password, even when you purchase a license. AgileBits still owns it. You're licensing the ability to use it, in accordance with the license agreement. This is true of almost all software. You really almost never have ownership of software unless you write the code yourself (and even then...). This may seem like splitting hairs, but the point is with licensing you're purchasing the ability to use a specific version of 1Password. Granted, you're able to use that version indefinitely, for as long as it works for you. That said I think we can all agree that the pace of technology is incredible, and software that is written today isn't likely to be compatible with operating systems and browsers of the future (perhaps even the near future). 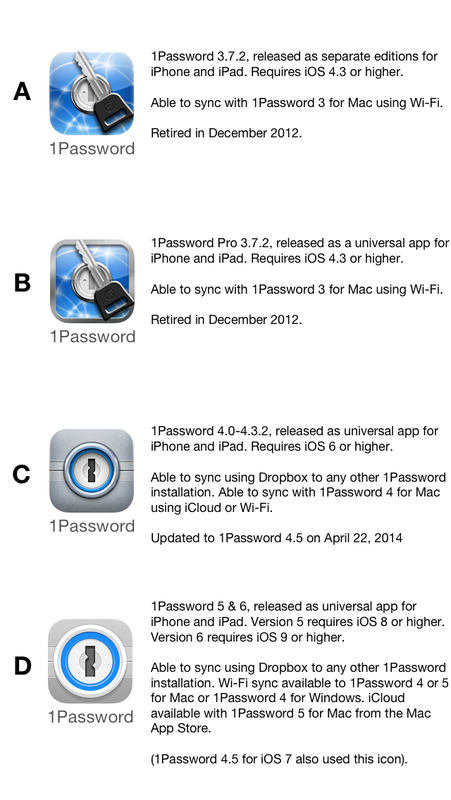 Membership gives you the ability to always be up to date with 1Password. Things are constantly in motion, and membership helps you keep up. We're using end-to-end encryption, which means that any data anyone might be able to capture in transit (or storage) would be worthless to them without both your Master Password and your Secret Key. The Secret Key is a great protection even against us (i.e. an insider attack).